This choir will make lovely music. 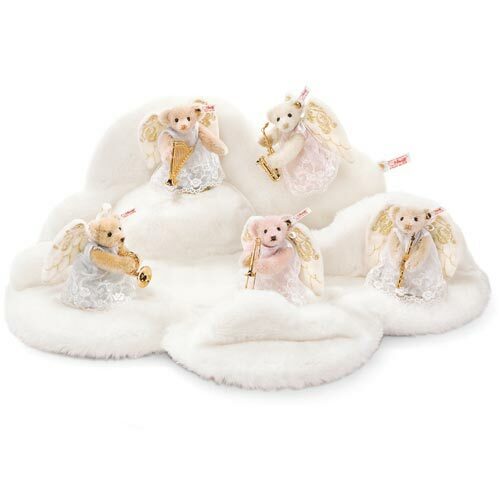 There are 5 small angels, each of 9 cm. / 3.6" tall. The total cloud is 50 x 36 x 20 cm. There are only 750 pieces made of this choir. This is a very special piece. 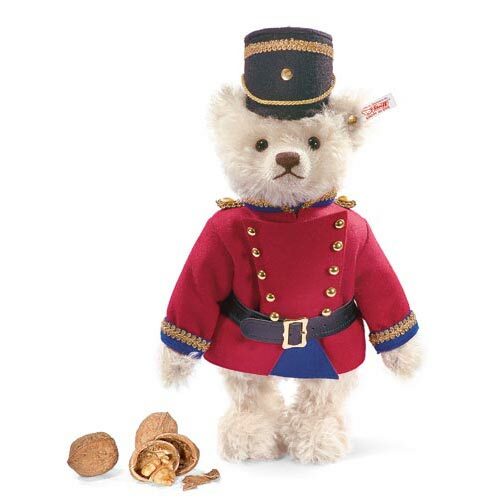 The bear is a nutcracker; when you turn his head, you will crack the nut. The bear is 29 cm. / 11.6" tall and limited to 3.000 pieces.